A Manhattan shelter that housed homeless women for three decades is to be converted into a luxury retail store after New York City officials gave the move the go-ahead. Up until last July, the four-story, 13,052-square-foot (over 1,200 square meters) building at 350 Lafayette Street in NoHo was operated as a 43-bed shelter to “help homeless NYC women suffering from mental illness to obtain permanent housing." The building’s new owners, who spent $26 million on buying it and $3 million on redesigning it, sought the approval of the city's Landmarks Preservation Commission to convert the building into a retail block of luxury brand stores, which the Commission has now approved, with the final green light from the Board of Standards and Appeals pending. 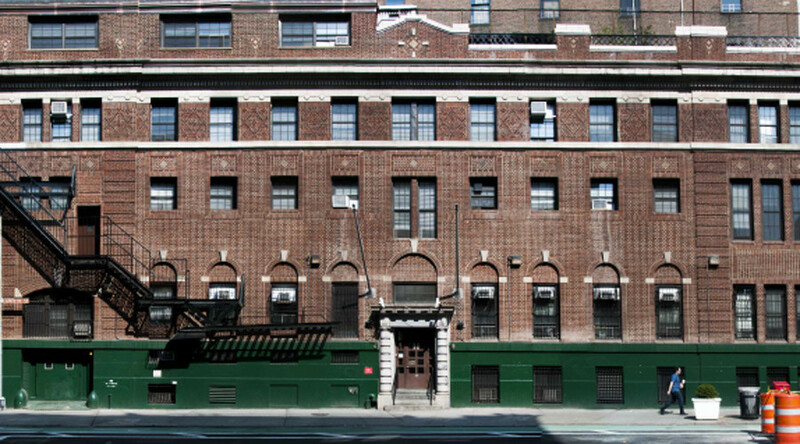 The building, which dates back to 1913, had, since 1988, been operated by the nonprofit Center of Urban Community Services (CUCS), who described the 350 Lafayette Transitional Living Community as "the first ever dedicated to helping homeless NYC women suffering from mental illness to obtain permanent housing." Over 1,500 homeless women moved from there into affordable housing. It was seen by officials and locals as a "jewel of the city's shelter system" and was a model for a successful shelter program. "Given our long history at this building, CUCS has a sentimental attachment to this site and it is hard to let go," said Tony Hannigan, CUCS Executive Director. CUCS is currently working to secure a new site for the shelter. The building was purchased by real estate tycoon Aby Rosen, who co-founded RFR Holding in 1991, which, according to its website, oversees $10 billion worth of real estate assets. RFR’s portfolio consists of 71 properties in a number of cities around the world, including New York's Seagram Building and the Eurotower building in Frankfurt - the previous headquarters of the European Central Bank. Rosen was born in Frankfurt, Germany in 1960 to two Holocaust survivors. A 2005 profile on Rosen in the New York Times detailed how his mother spent five years of her youth living in a Belgian farmhouse while his father spent his teenage years in a number of concentration camps around Germany and Poland. Of his father's extended family, only 17 survived.